Parts of the UK have been placed on health alert due to a dangerous cloud of air pollution blowing its way over the country. Health experts have warned the smog could cause fatal asthma attacks and urge the elderly and those suffering with respiratory illnesses to take precautions. The Department for Environment, Food and Rural Affairs (DEFRA) said the cloud of pollution was bring brought across the UK by winds from Europe, mixing with native smog and compounding the problem. While it may cause health issues for the vulnerable and sick, the pollution will not pose a problem for the general population, officials said. “Winds bringing in pollution from the continent, combined with locally generated pollution and still weather conditions has led to some high pollution measurements across the UK,” a DEFRA spokeswoman said. Some parts of the UK are expected to experience pollution levels of nine out of 10 and most of the country will see a rise in pollution levels. 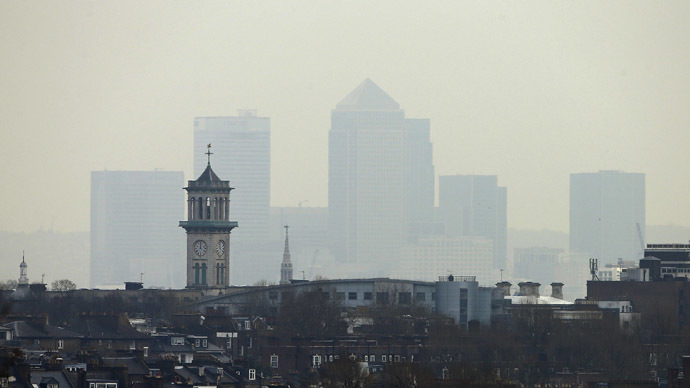 Asthma UK Chief Executive Kay Boycott said sufferers could see symptoms worsen and the pollution could even cause fatalities. “Two thirds of people with asthma find that air pollution makes their asthma worse, putting them at an increased risk of a potentially fatal asthma attack. “When air pollution is high it's vital people with respiratory conditions including asthma check air pollution forecasts, carry their reliever inhaler with them at all times and ensure that they are taking their preventer inhaler every day because this will help build resilience to asthma triggers like air pollution. “People with asthma have told us that on days when air pollution levels are high they feel that they can't even leave the house for fear that it will trigger an attack,” she added. A spokesperson for the Met Office said the problem was caused by high pressure and few winds, which caused the pollution to hang over the country.